Are You Wasting Your Time On These SEO ‘Best Practices’? 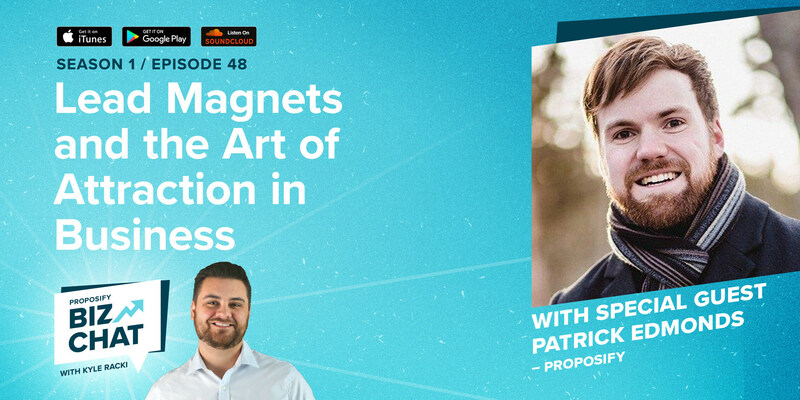 On this episode of Proposify BizChat, I'm joined by SEO expert, Kyle Roof. 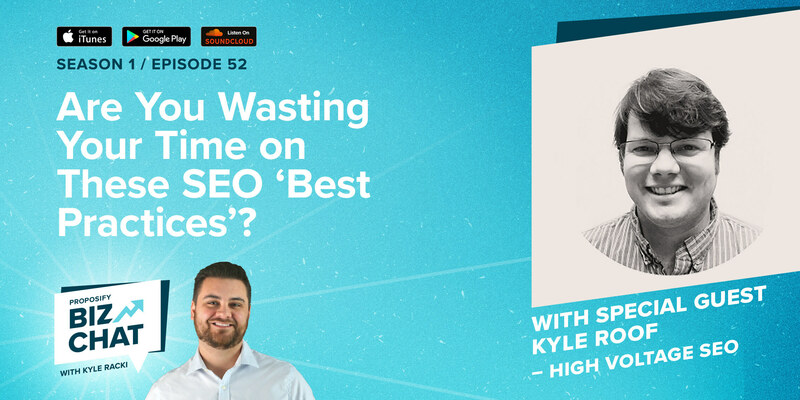 Kyle runs the Search Intelligence Agency, a community of over 200 SEO professionals, and is the co-founder of High Voltage SEO, a full-service digital marketing agency with offices in the United States, Germany, and Australia. To stay current with SEO trends, Kyle has developed proprietary tools and methods, including a keyword strength algorithm, a method for determining target on-page optimization rates, and a WordPress SEO plugin. SEO can be a confusing marketing tool to wrap your head around, especially when articles discussing algorithm changes are shared like wildfire. When you’re not an SEO expert, figuring out which articles are accurate and which rules to apply to your own content to boost your ranking is kind of like taking a shot in the dark. As a leading SEO expert, Kyle Roof oversees tests aimed at determining what is or isn’t a ranking factor in Google’s algorithm. 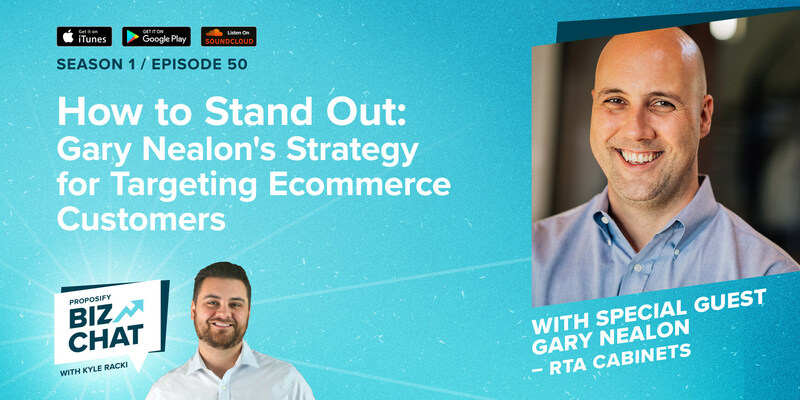 If you’ve come across contradictory answers in your research about best SEO practices, this Biz Chat episode will clear up some of the biggest misconceptions for you, and highlight where you should be focusing your efforts. In this interview, I talk to Kyle about some common SEO myths, why you don’t need to overthink your content, and the importance of internal linking. 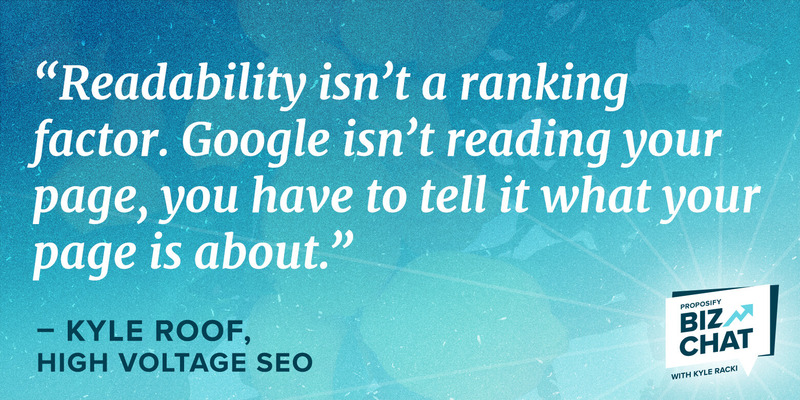 It might seem like you’re always being told SEO is just about great content; that if you create content that has good readability, grammar, and overall tone, it’s automatically going to be good for Google. Kyle says to forget that idea, because none of those things matter when it comes to ranking. The common thought is that you want to get to a 7th grade reading level because that’s the spot Google is rewarding. But after testing pages ranging in reading levels between grade 7 and grade 27, Kyle determined that difficult-to-read content wasn’t punished, meaning it’s not necessarily a ranking factor on Google. Kyle says the same can be said for spelling and grammar. Doing a site audit can tell you lots about your website and reveal errors or warnings that typically you would want to fix. 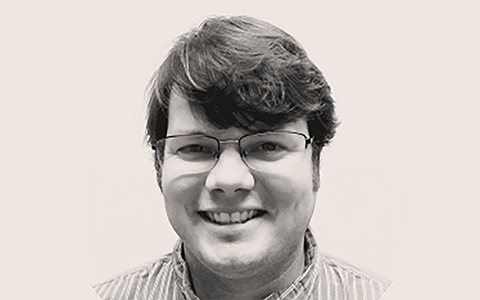 Kyle says one of the first things listed on most site audit reports are CSS and HTML errors, which can be a pricey fix. Because most people are working with a limited budget, Kyle tested whether having errors in CSS and HTML would affect ranking on Google negatively. Another factor commonly thought to help boost SEO is fast page load time; the faster the page, the higher the ranking. Kyle says this idea actually came from Google in 2012 when they announced that page speed is a ranking factor, but says they never really defined it. Instead, Google released tools people could use to check their page speed, and page load time was the first thing on the list. Kyle says, obviously somebody would not wait 20 seconds for a page to load, but as a direct ranking factor, page load time is not the ranking signal. What Kyle does think could be a ranking factor for Google is time to first byte (TTFB). TTFB is where you hit enter after typing in a URL, the request is sent to the server. The first piece of information to come back, the first byte, is measured by how quickly it comes back, and is called time to first byte. 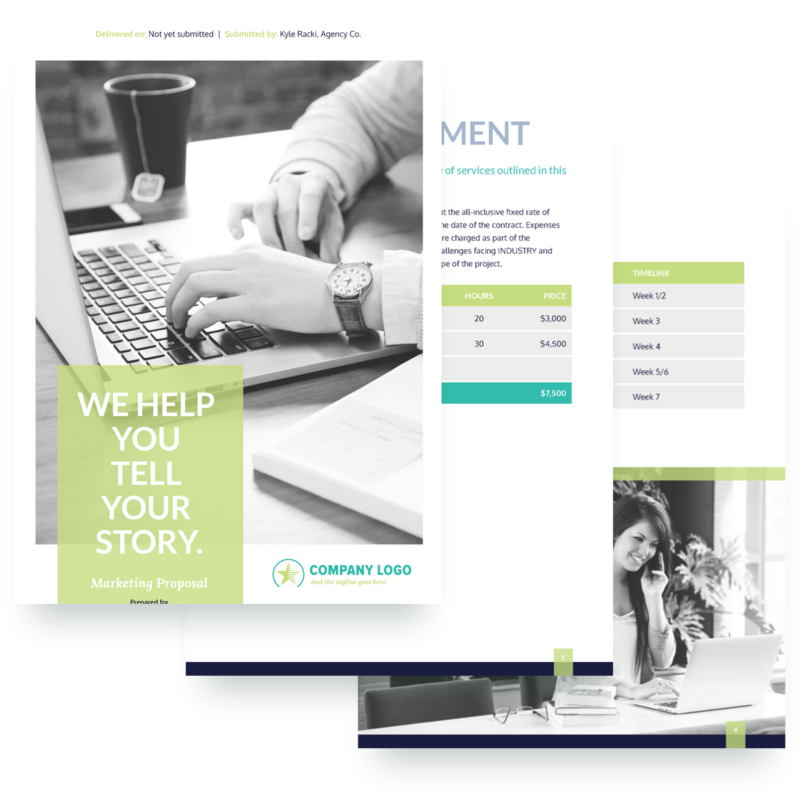 For good user experience, Kyle recommends you have a fully loaded page under seven seconds, and a partially loaded page under three seconds for user experience. For ranking purposes, he recommends your TTFB be under .5 s.
Schema is a good thing to put on your page, in fact, Kyle recommends you do it, because it helps search engines understand what your page is about. Kyle recommends just getting the key areas of your pages covered with schema, and not to worry about it kicking back errors or warnings, as they don’t affect your ranking on Google. Sure, external links are great for boosting your ranking, but they can sometimes be hard to come by. To help boost your ranking and increasing your optimization, Kyle recommends focusing on internal links. Kyle says that internal links have so much power that you could potentially beat the ranking of bigger domains, such as Forbes or Inc., on some of their thin and light content pages with a better post that is properly optimized with more internal links.